With just 10 days until the introduction of the changes to the Employment Rights Act comes into force, UK employers will have to alter how they provide payslips to their workforce. Under the new legislation, employers will have to deliver itemised payslips to every worker on their payroll, not just those classified as ‘employees’. 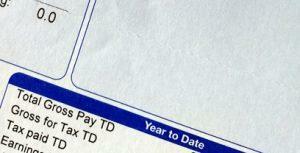 Employers paying a worker by the hour must also include the time worked on the payslip. The hours can either be shown as a single total or broken down into separate figures for different types of work. The changes to the information on payslips means that variable-time employees will not only find it easier to reconcile their pay with their work hours, but also be able to establish whether they are being paid the national minimum wage by their employers. At Lentells our dedicated Payroll department can take responsibility for the running of your payroll system, giving you piece of mind. We can administer your PAYE, National Insurance, Statutory Sick Pay, Statutory Maternity Pay and complete statutory forms and all electronic submissions to HMRC, including your Real Time Information and year end returns. Find our more about our comprehensive service by watching our Payroll video. If you would like to discuss your requirements in more detail with our Payroll Manager, please email payroll@lentells.co.uk or contact Tina Murray on 01460 68700.